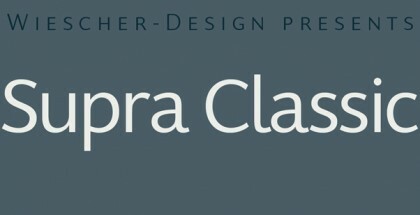 Riga Screen is a Sans Serif font that was designed as a supplement to the Riga typeface family. It is created to be perfectly suited for work on screens. This small family of four weights is designed for extraordinary legibility in the tight spaces of all kinds of modern PC monitors, laptops, smartphones and tablets. Riga Screen with its practicality and functionality will benefit all kind of type activities related to those such as websites, games and any kinds of applications. 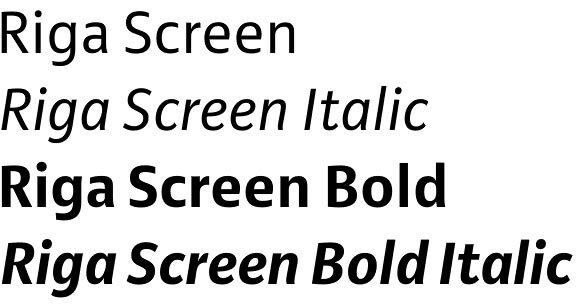 Riga Screen font is created by the German designer Ludwig Übele – the founder of the Berlin based Ludwig Type foundry. 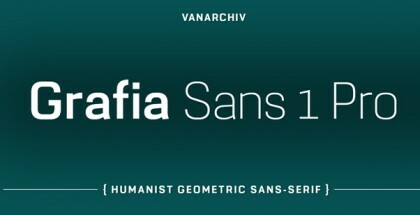 It was established in 2007 and since then it has been working in the field of modern type design, offering high quality fonts like: Riga font, Daphne Script font, Marat font. Get Riga Screen font and enjoy the perfect text on your screen!